Friends in No Places are renowned for playing a modern country slant to songs not currently recognized in the country charts but recognizable to wider audiences. They play a mix of modern country, rock and blues and bring to the music scene a fresh aspect with their mix of acoustic guitar, fronted with distinct vocals, harmonica and bass. 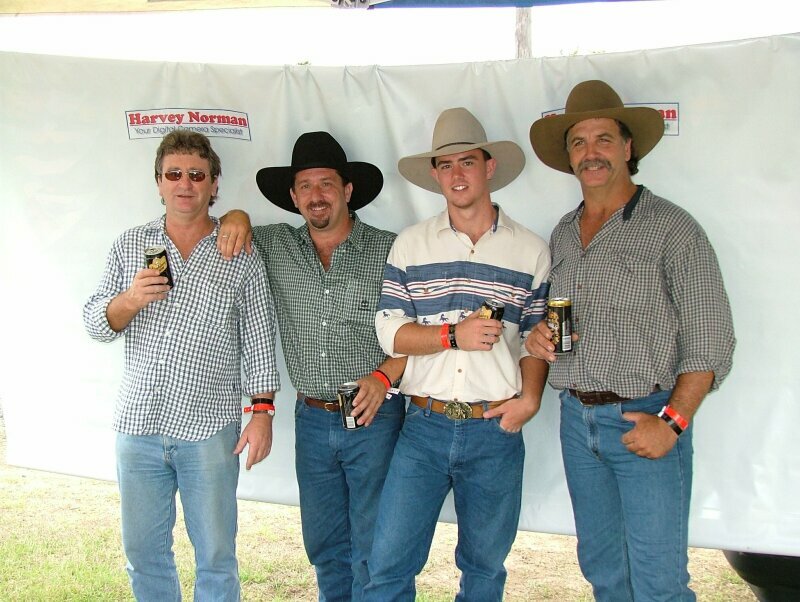 The band has recently come off a three month tour playing around the Country Music festivals and assorted venues throughout regional and outback areas of QLD and NSW. The bands energy, wit and passion on stage proves to be infectious. The band members have a range of experience, with the lead singer/rhythm guitarist Lance Friend who’s original background was rock & blues which carry’s through into the country rock giving them an original sound. His list of credits range from playing at clubs, pubs, festivals, casinos, resorts to playing on his Mum’s verandah. However Lance has found his calling with his switch to the Country music scene. On Bass Guitar Brodie Friend drives the band with his rhythmic style of bass playing, who’s fresh country looks keep all the young ladies entertained. The third member of the band, Peter McFadzen, who’s distinct country/blues sound is always a favorite with the crowd. He is evolving into one of Australia’s finer Country Harmonica players.